Also known as the Land Down Under, Australia is a land of stunningly vibrant contrasts, spectacular beauties and sacred legends. Its diverse and multicultural population, marvelous cities along the shores, ancient rainforests, red-earthed deserts and the history of the aboriginal people earn it a top mark as one of the most popular tourist destinations in the world. Along with attractive accommodations for the visitors, the largest island of the world offers some of the most unique and unforgettable experiences for tourists from all over the world. 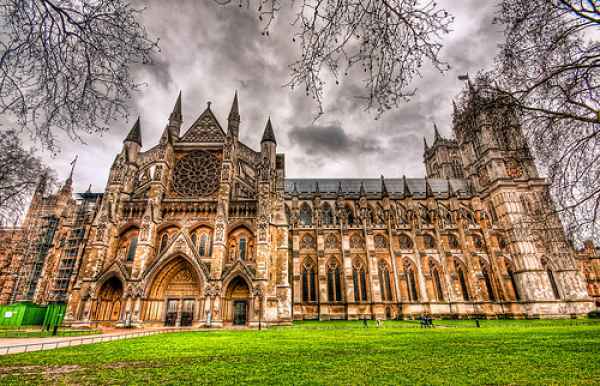 This list of top ten tourist attractions in Australia will give you a complete understanding of beauty and treasure of Australia as a travel destination. 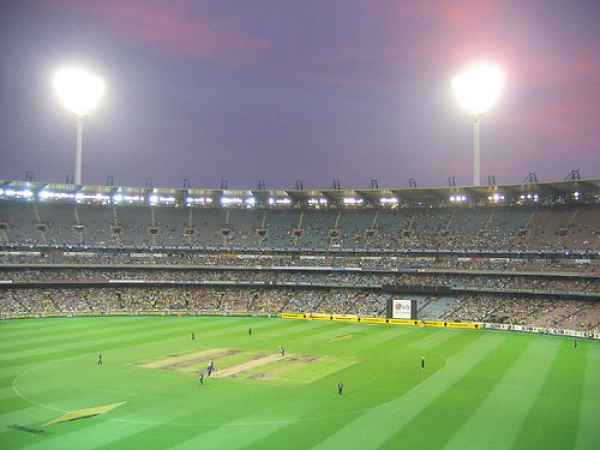 Also known as “the G” by the locals, Melbourne Cricket Ground is adored to be the spiritual home of Australian sports. Founded in 1853, “The G” is the largest stadium in the continent and the 11th largest in the entire world. 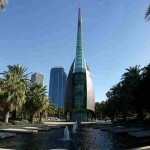 Only a few steps away from down town Melbourne, this stadium has a capacity of more than 100 thousand people. It’s always a dream for international players from all cricket playing countries to play in Melbourne Cricket Ground. Cricket being one of the most popular sports in Australia, not enjoying a cricket match in one of the world’s biggest stadiums can make your visit to Australia incomplete. 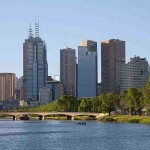 That is why I put Melbourne cricket ground as one of the best tourist attractions in Australia. Spreading across an area of about 10,000 square kilometers in the Gascoyne region of Western Australia, the world heritage site “Shark Bay” is an exceptional collection of diverse, rich and rare aquatic marine life. It has one of the largest underwater sea grass beds in the world and the oldest life form on earth, the living fossils named “Stromatolites” can be found here. 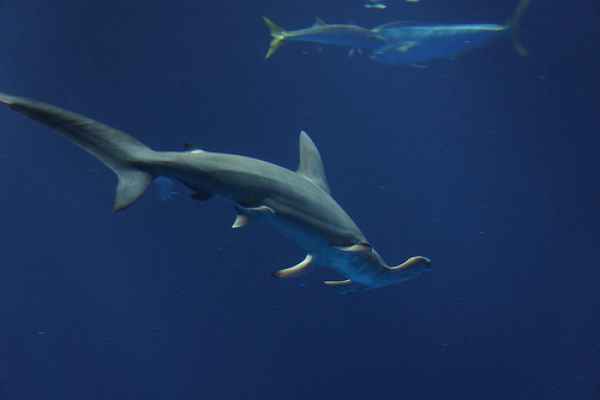 Besides dolphins and whale sharks it is also home to nearly 200 species of birds. 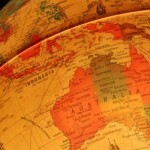 So, Shark Bay easily makes this list of top tourist attractions in Australia. 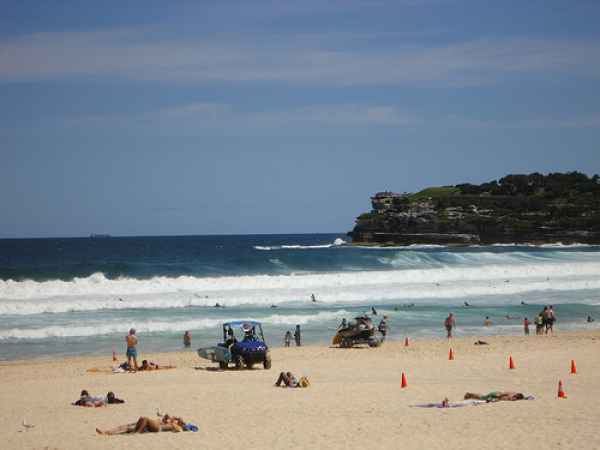 Famous for its golden sands and a lively shore side village, the Bondi beach is the most visited place in Sydney and one of the most popular tourist attractions in Australia. Surrounded by many stunningly attractive cafes and restaurants, the beach is a prevalent location for sunbathing, surfing, skating and playing a little beach cricket. 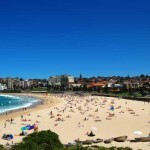 Just30 minutes walking distance away from Sydney central bus stop, it is a hotspot for the back packers. 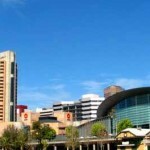 Its residential area is home to many national celebrities of Australia. Fraser Island is located in the Southern coast of Queensland. Approximately 120 kilometers long and 25 kilometers across, the island bears a unique rain forest that grows on the sand. Rich in aboriginal history, this place has greatly avoided the touch of modern development to preserve its natural state. Popular for fishing, canoeing, camping and 4 wheel driving, the island is a scenic landscape that every avid tourist would love to behold at least once in a lifetime. The natural setting of Fraser Island is something that you will find nowhere in the world. 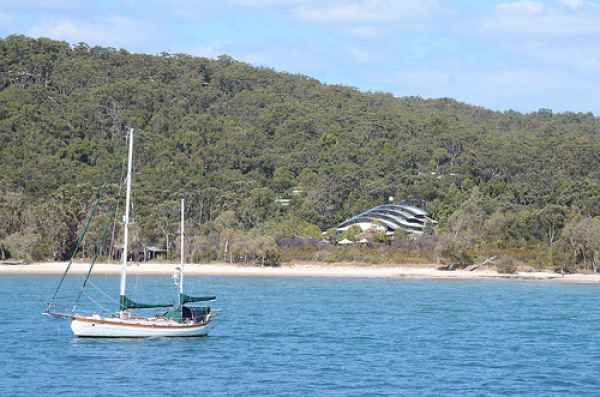 Do a little research online, check some of the images of Fraser Island, you will know how it makes this list of most popular tourist attractions in Australia. Along the south eastern coast of Victoria, “The Great Ocean road” which stretches for 243 kilometers will offer you the experience of an unforgettable and wondrous scenic ride. Witness the absolute splendor of the 12 large limestone rocks standing 45 meters high known as the 12 great Apostles. Although there are only 8 remaining today, these Apostles are the result of 20 million years of erosion. Take a trip down this road on the rocky cliffs along the shore side and watch as the waves crush into the Apostles and see them dazzling amazingly during the sunrise and sunset. 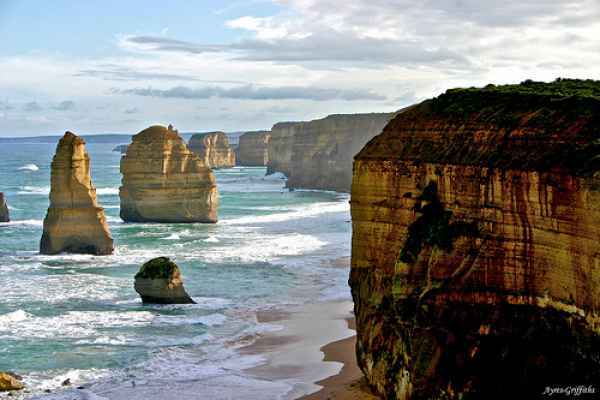 The combination of the Twelve Apostles and the Great Ocean Road thus makes this list of top tourist attractions in Australia. Built by the British Empire during the 18th and 19th centuries, the town of Port Arthur used to be a penal colony where the hardest convicted British criminals were exiled. 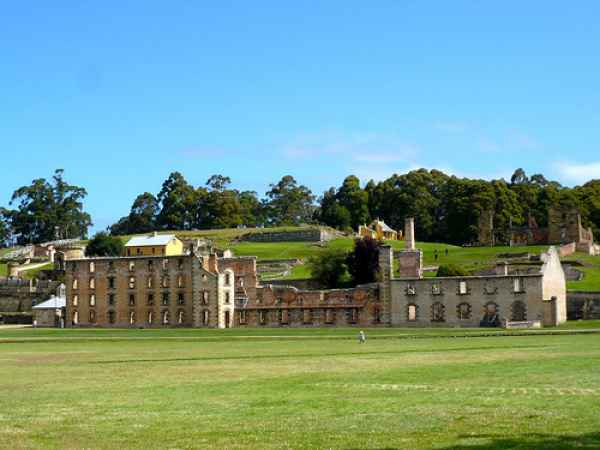 Located in Tasman Peninsula, Port Arthur is a place with a significant historical value. It has an open air museum which exhibits many elements and artifacts with a touch of its past. Attracting more than 250,000 visitors each year, this is one of the must see tourist attractions in Australia for both local and overseas tourists. 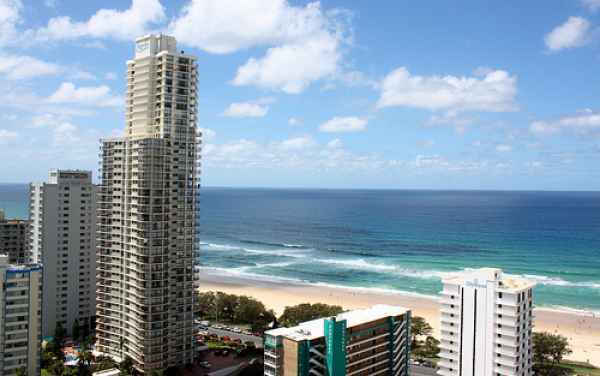 Surfer’s paradise, a place where magnitude of human creations and the glory of the nature blends together, lies in the city of gold coast of Queensland. The deluxe skyline along the shores along with amazing skyscrapers makes this one of the most exotic beaches and most popular tourist attractions in Australia. The surf and pristine beach extending for miles, outstanding and luxurious accommodation just by the shores, exclusive shopping malls, spectacular night clubs, restaurants and cafes make this a party haven and as the name suggests a paradise for the surfers. 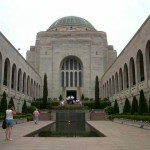 Greatly supported by the Australian government, this place has been designed to be a top notch tourist attraction. 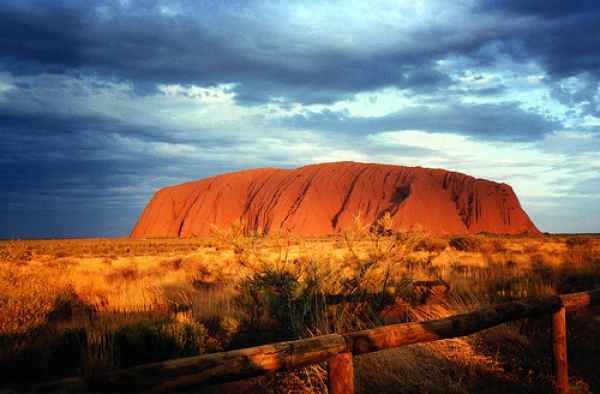 Also known as the Red center of Australia, Uluru, one of the most visited tourist attractions in Australia, is a giant natural formation of sandstone rock standing 1143 feet high and is easily distinguishable in the vicinity of flat lands of the northern territory of Australia. Exhibiting many ancient paintings done by the ancient Anangu people, this monolith is a very sacred aboriginal cultural site. Situated 335 km away from the closest large town, the site may be a bit remote but its natural beauty and cultural connotation makes it worthy of your visit. This harbor and its iconic and legendary Sydney Opera House is probably the first thing that comes to mind when anyone is asked to think of Australia. This natural harbor otherwise known as the Port Jackson, contributed greatly in the development of the city of New South Wales. The opera house was built in 1973 and is a symbol of architectural genius of the 20th century. 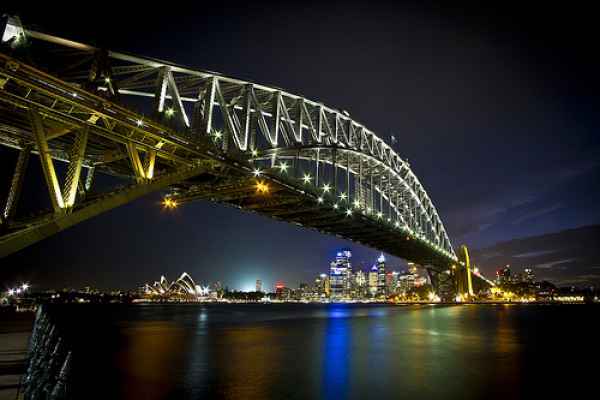 Along with the opera house the nearby Sydney Harbor Bridge make this one of the most popular landmarks in the world. 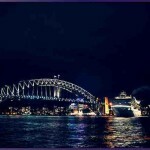 In other top tourist attractions in Australia lists, Sydney Harbor might be ranked at the top. Actually in no way you can make it second best. 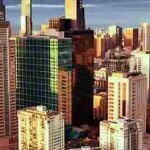 In my opinion both Great Barrier Reef and Sydney Harbor deserve the top place in this list. Not only is this one of the seven natural wonders of the world but to some it truly is one of the most beautiful places for a human to lay eye on. Also known as Australia’s marine playground, Great Barrier Reef is the world’s biggest structure made by the living organisms called coral. 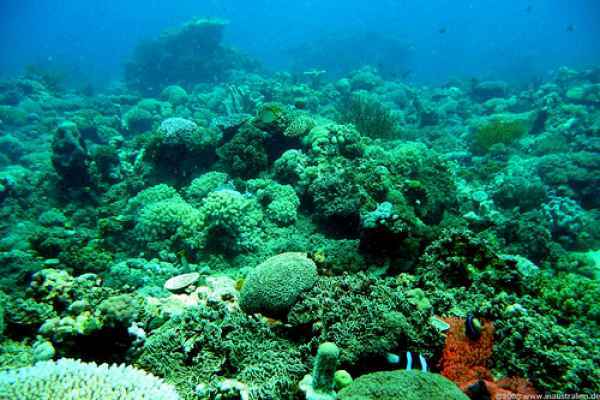 Housing many marine lives like sea turtles, sharks and millions of spectacularly multicolored fishes alongside the colorful corals, this a fascinatingly vibrant world beneath the ocean.Visible from the outer space the reef expands over an area of 344,400 square kilometers. Sadly dew to the climate change this wonder is becoming more and more threatened and will not be there forever. So arrange a tour and witness this great phenomenon of Mother Nature while you can.